To uphold the standing in this enormously competitive industry, we are readily involved in bringing forth Third Party Audits. 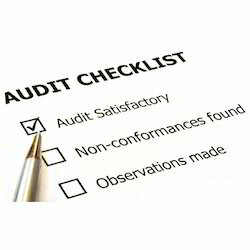 A third-party audit occurs when an organization has decided that they want to create a QMS that conforms to a standard set of requirements, such as ISO 9001, and hire a company to perform an audit to verify that the company has succeeded in this endeavor. Backed by the assistance of our highly experienced professionals, we have been able to bring forward qualitative Third Party Audit Training service. In order to render this service, our professionals organize various sessions and impart the knowledge about the auditing service. Further, we provide this service to our clients in hassle free manner within stipulated time frame. The provided service is highly appreciated by our esteemed clients owing to its reliability and timely execution. We are engaged in offering qualitative Internal Audit Training Program to our valuable clients. We offer this service in an excellent manner within the scheduled time-frame. This program is specially held to understand the requirement and standard of certification. 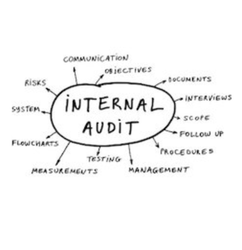 Our internal audit training program helps our clients in measuring the gap analysis for the growth and effectiveness of company’s management systems. Apart from this, clients can avail this service from us at budget-friendly prices. 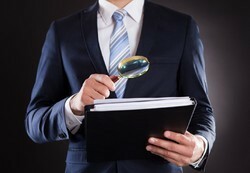 Looking for Third Party Audit Training Service ?